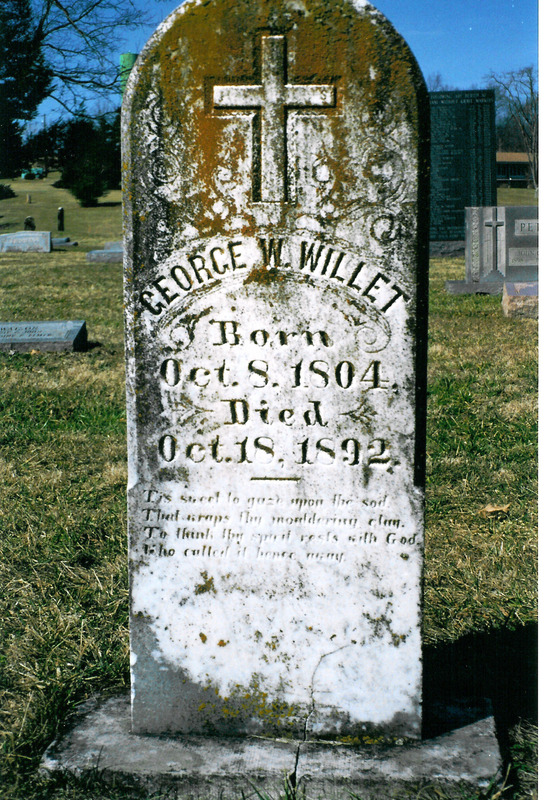 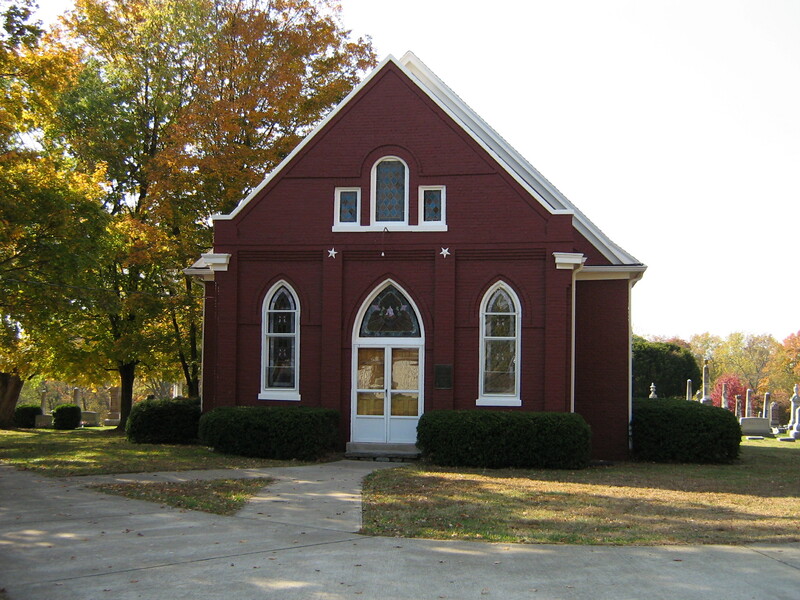 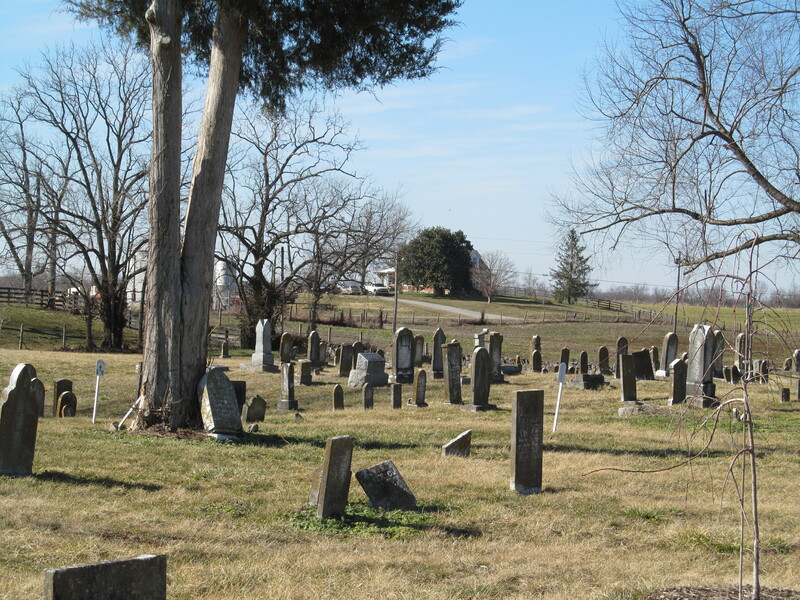 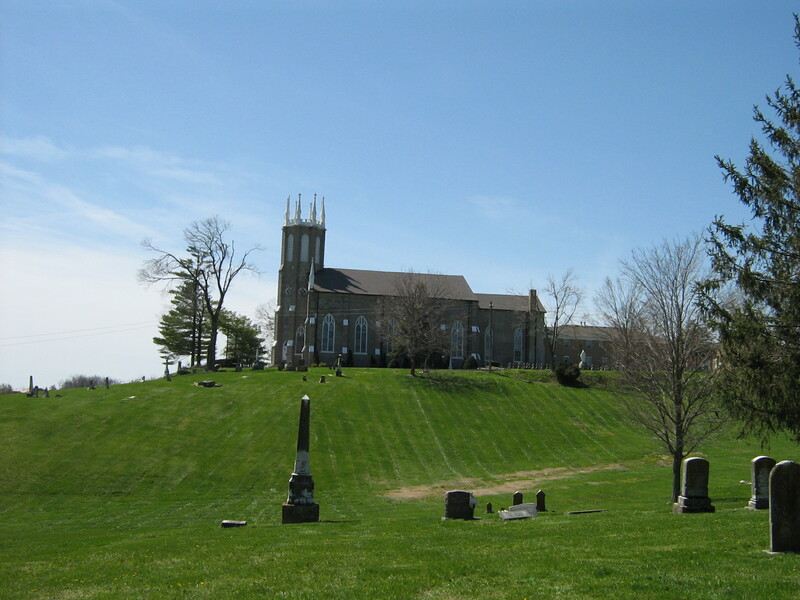 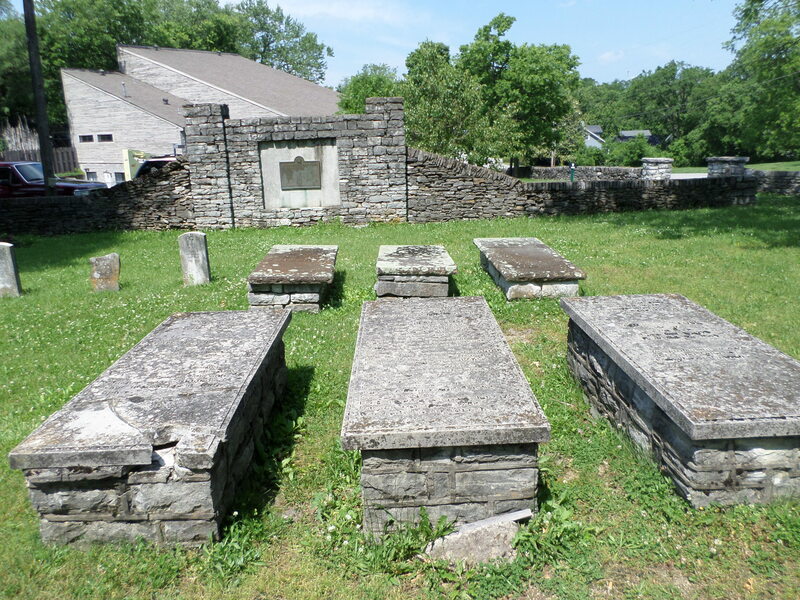 The fifth installment of the original members of New Providence Presbyterian Church, Mercer County, Kentucky, who were born before 1800. 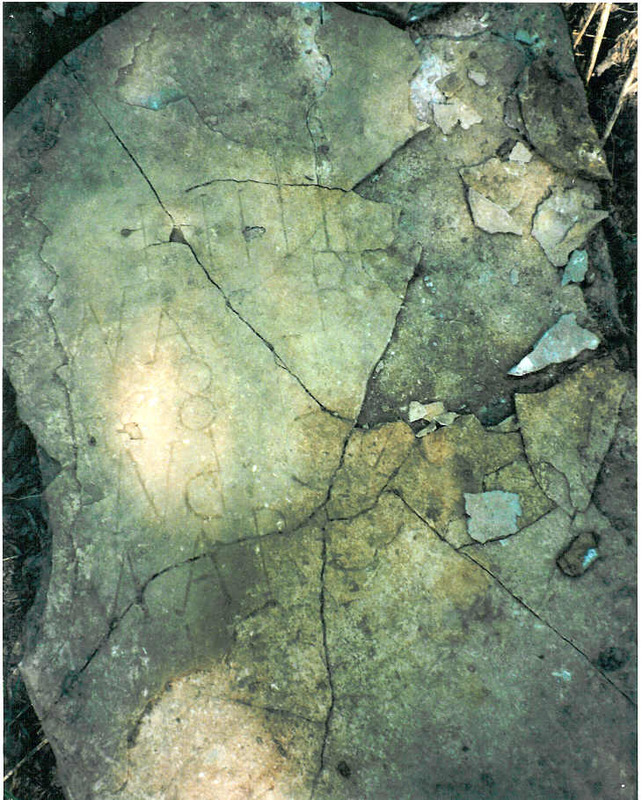 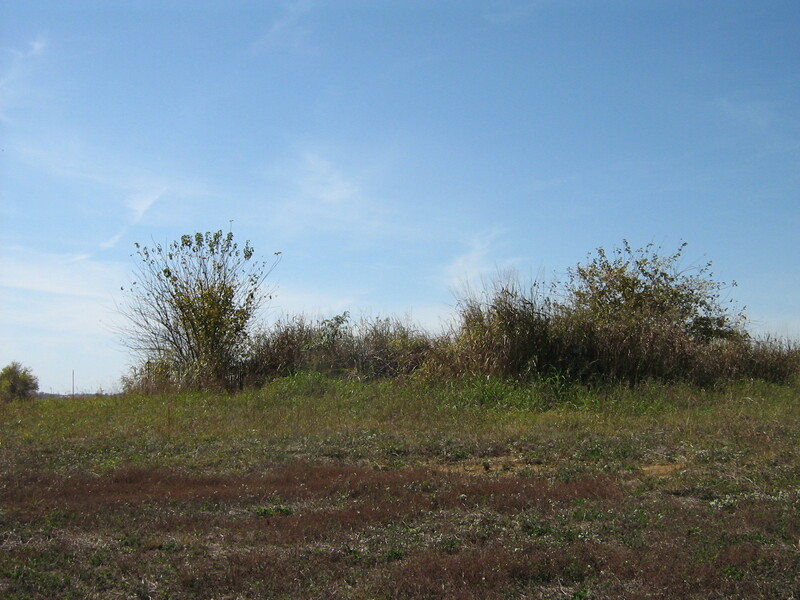 The previous installments can be viewed –Volume 1 and Volume 2 and Volume 3 and Volume 4. 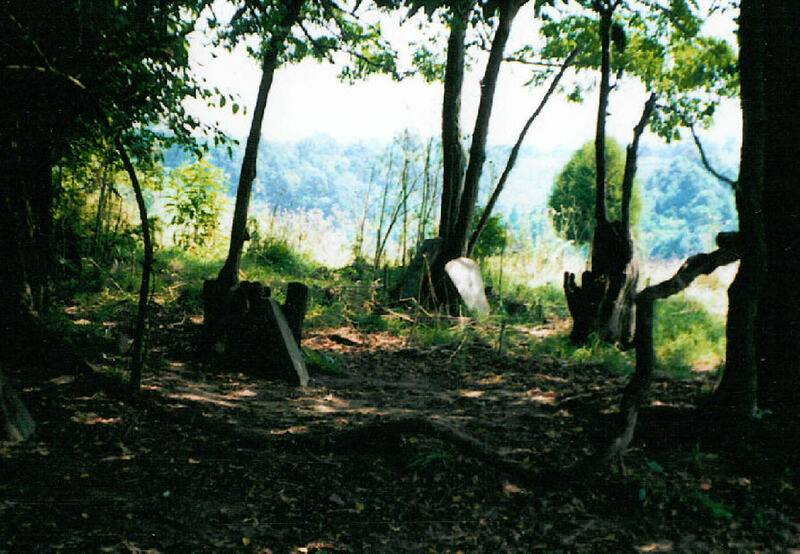 Still more too come – I have at least 40 more photos! 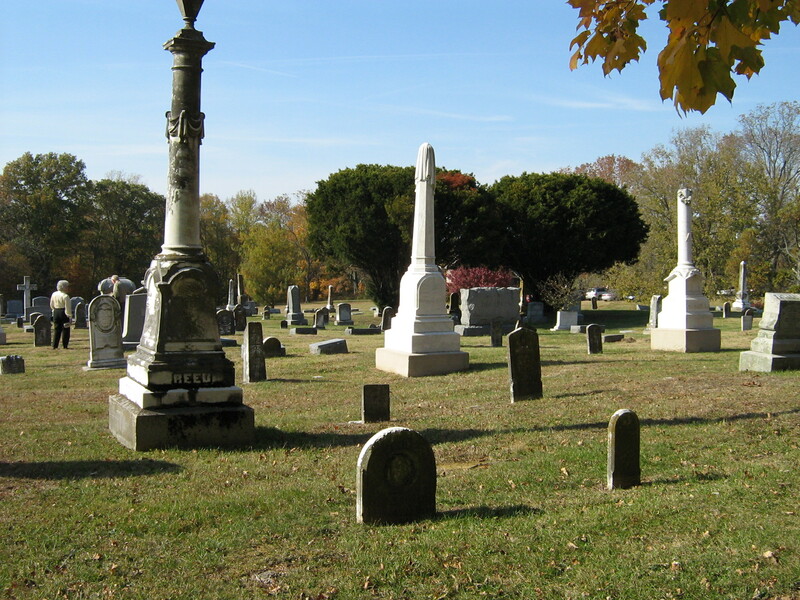 These stones have aged well over the many years, they have withstood the elements. 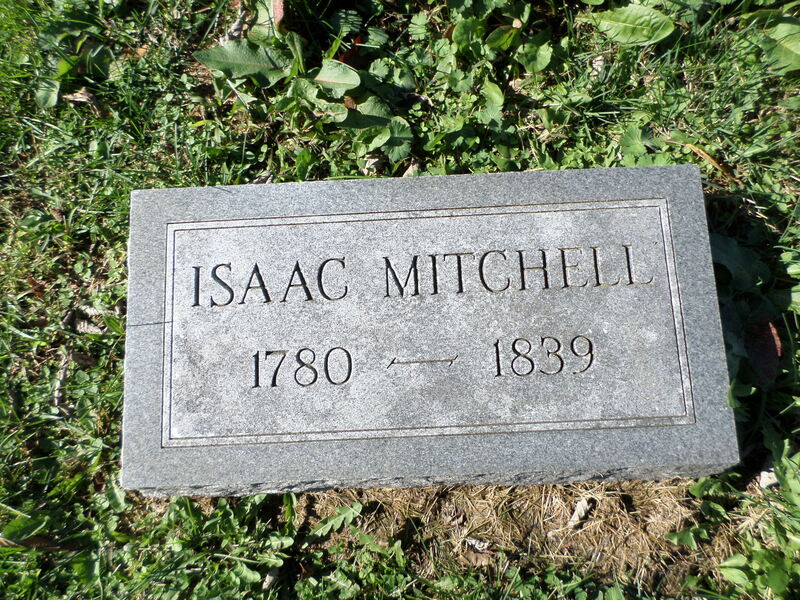 Only one stone has been replaced, that of Isaac Mitchell. 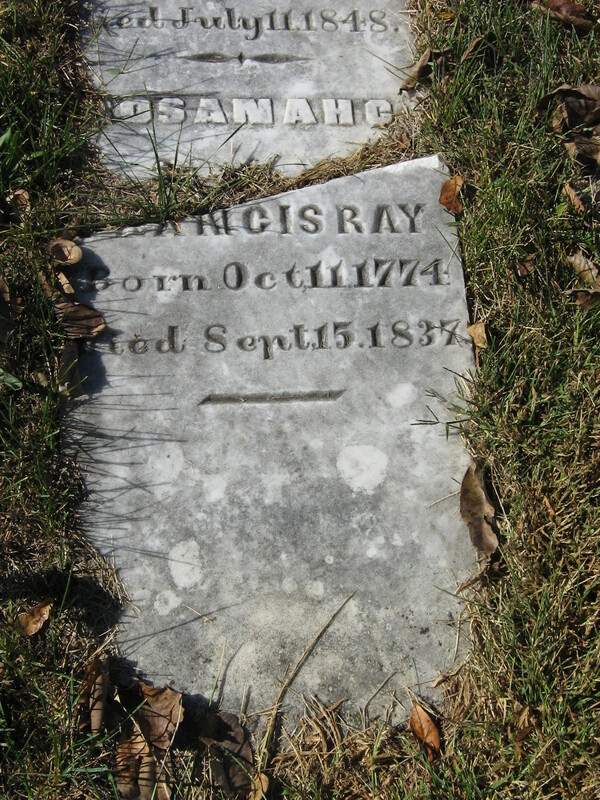 We ended the fourth volume with Rev. 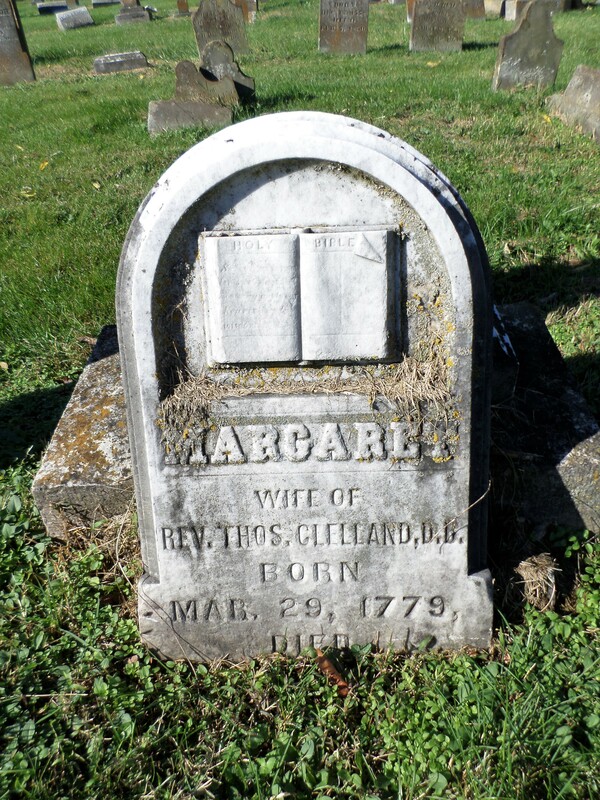 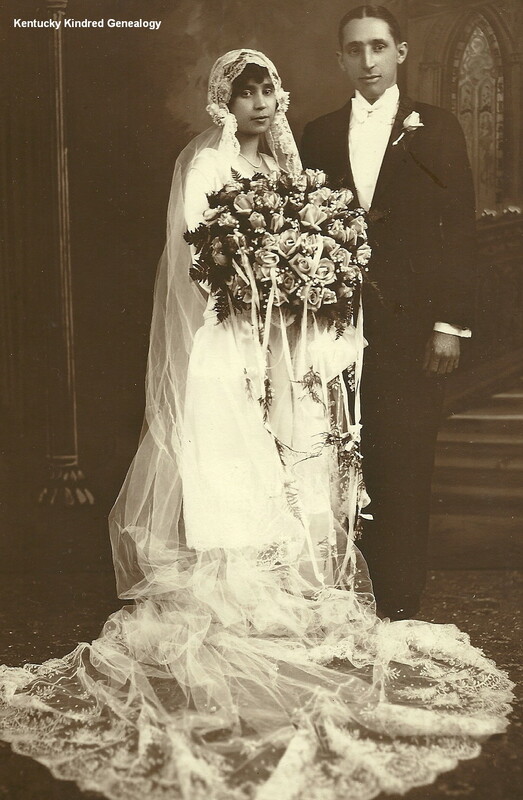 Thomas Clelland – seems fitting that we begin this one with his wife. 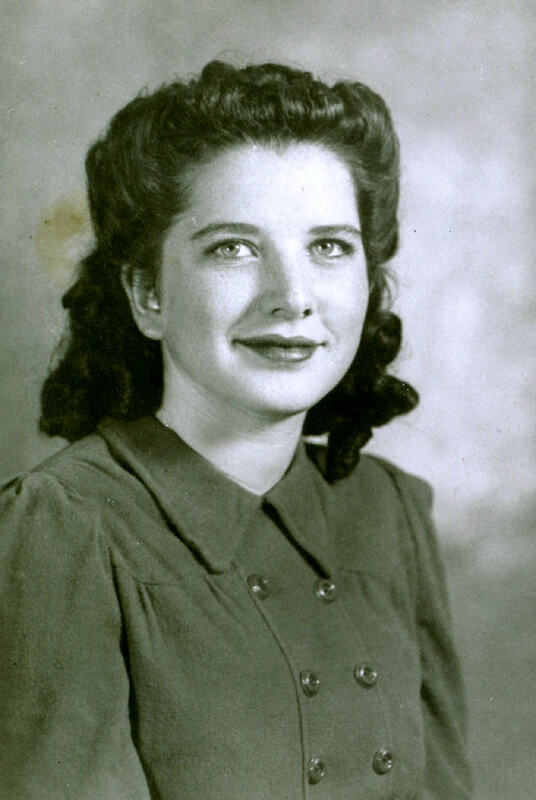 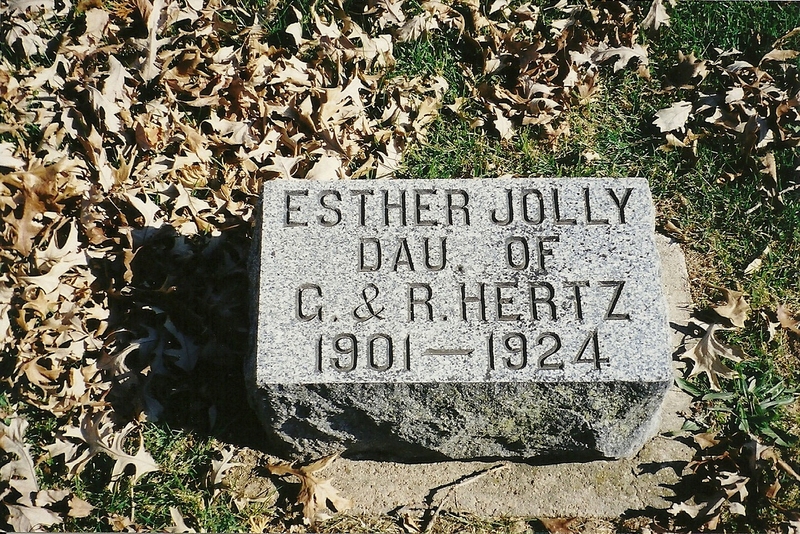 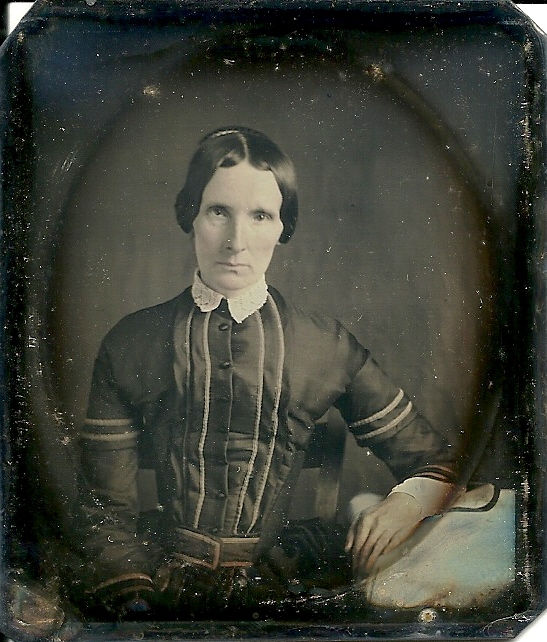 Margaret, wife of Rev. 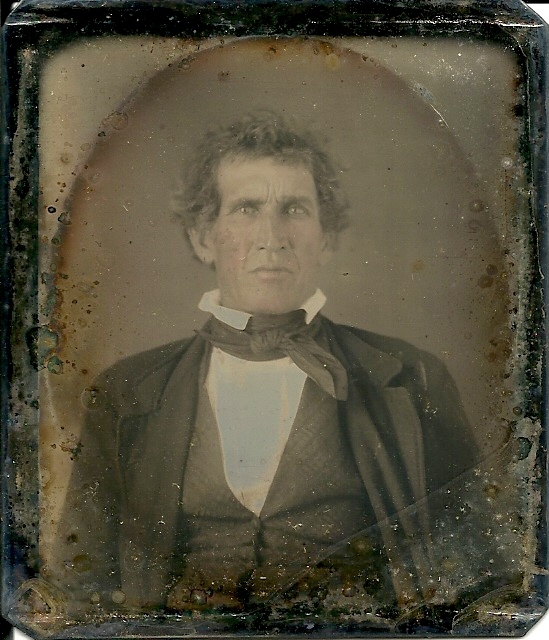 Thomas Clelland, D.D., born March 29, 1779, died April 24, 1854. 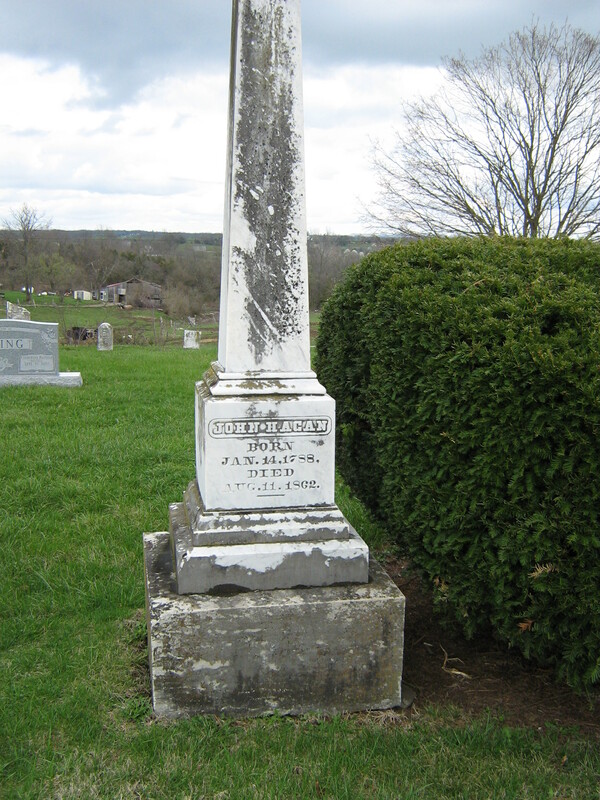 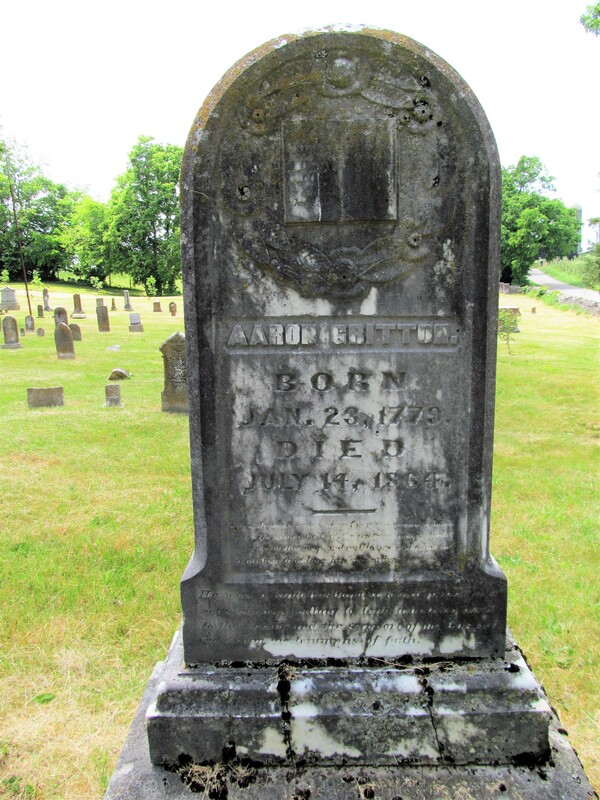 Aaron Gritton, born January 23, 1779, died July 14, 1864. 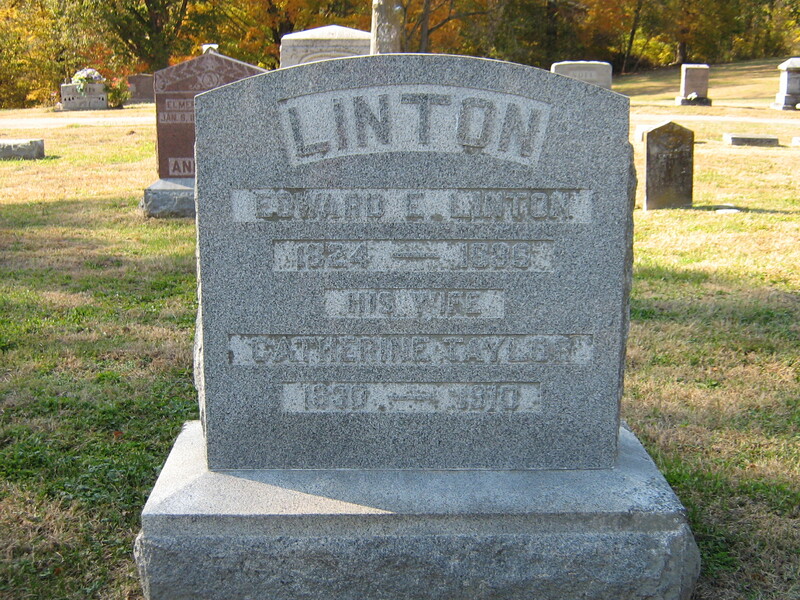 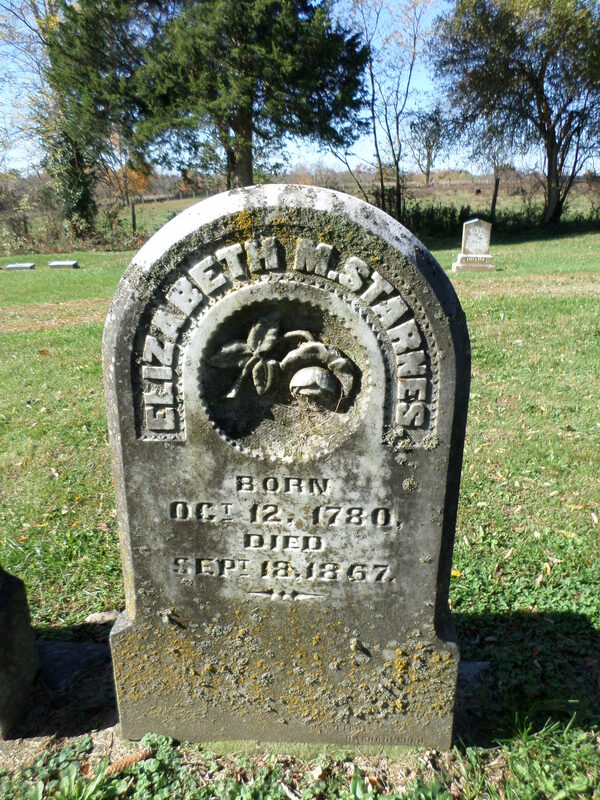 Elizabeth M. Starnes, born October 12, 1780, died September 18, 1867. 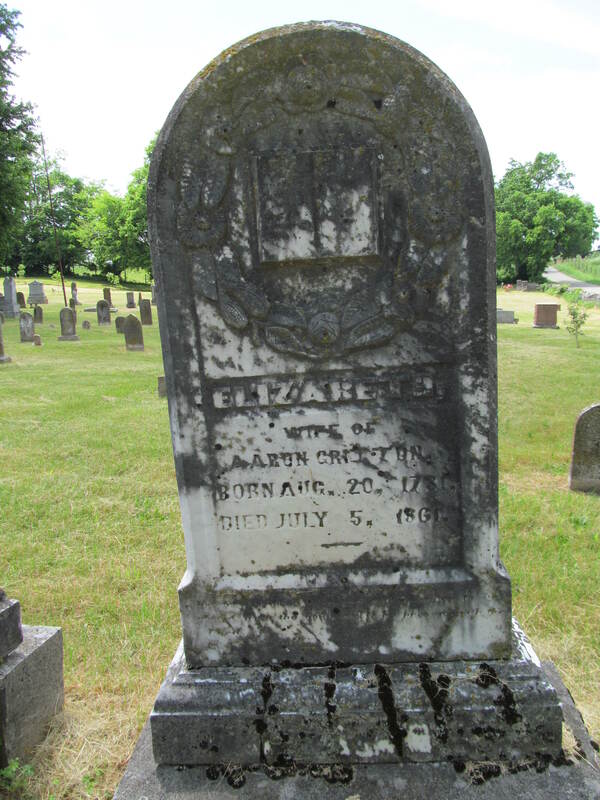 Elizabeth, wife of Aaron Gritton, born August 20, 1781, died July 5, 1861. 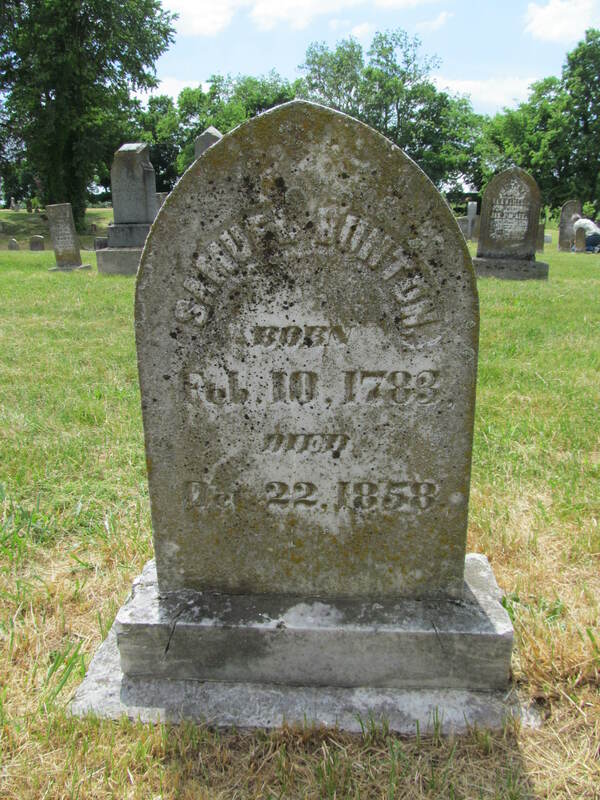 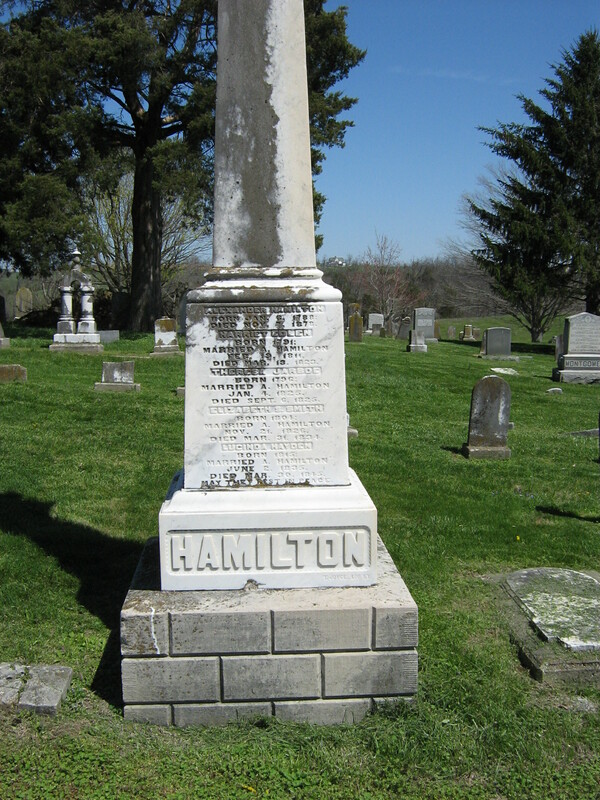 Samuel Bunton, born February 10, 1783, died October 22, 1858. 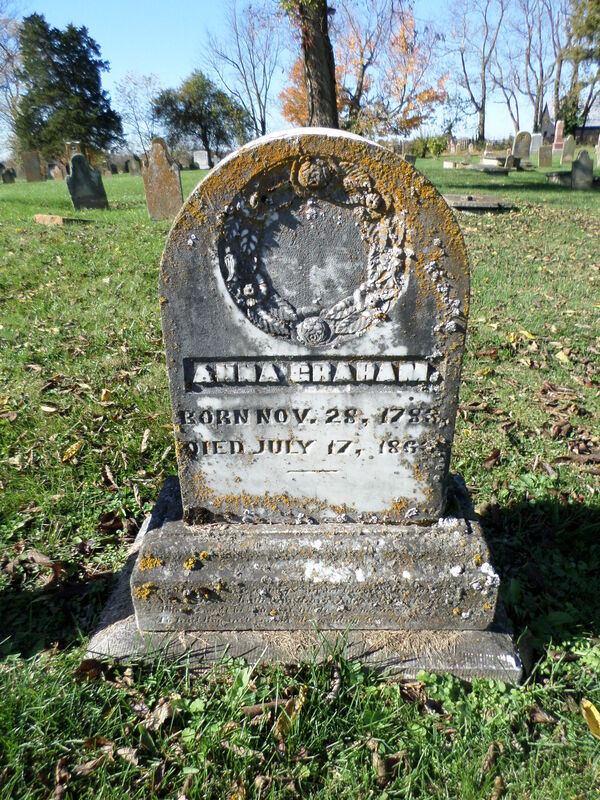 Anna Graham, born November 28, 1783, died July 17, 1863. 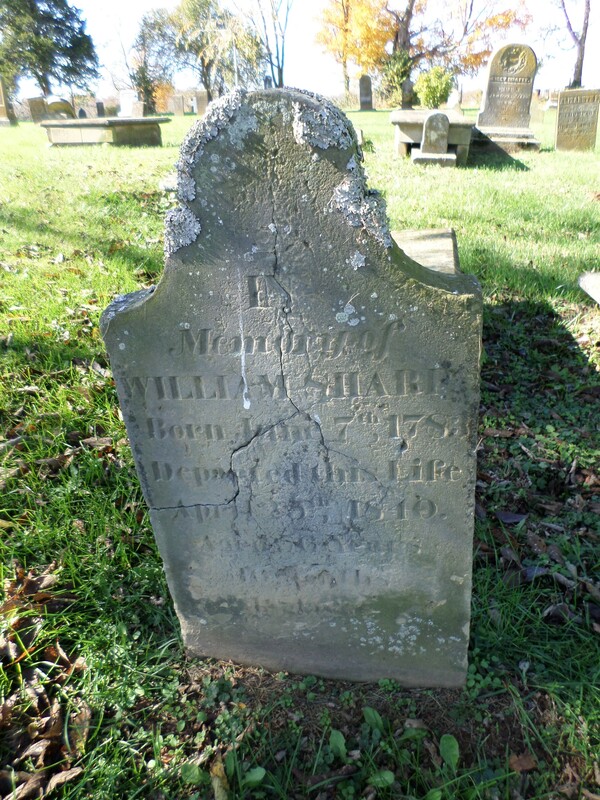 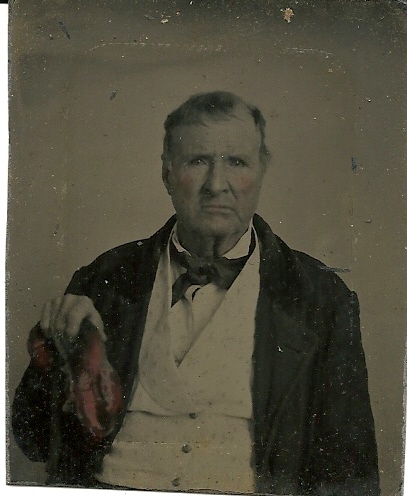 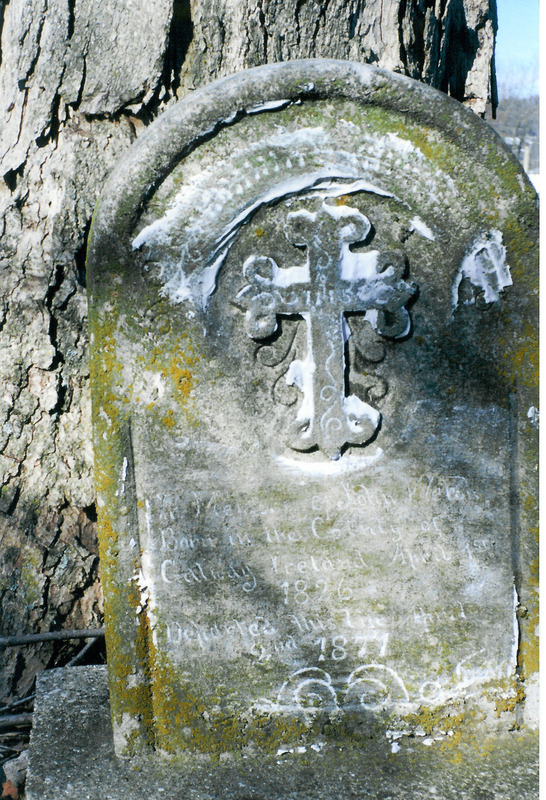 In memory of William Sharp, born June 7th, 1783, departed this life April 25th, 1840, aged 63 years. 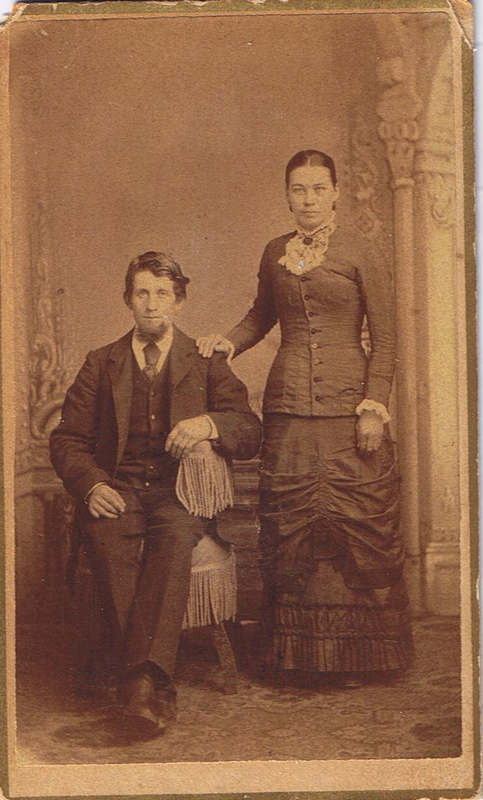 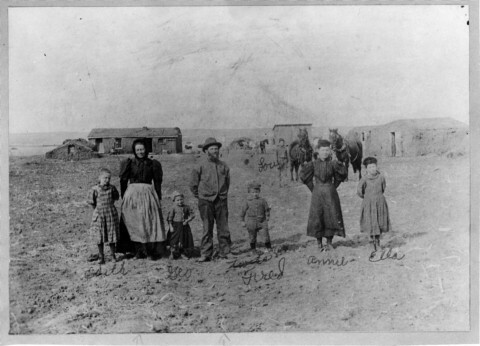 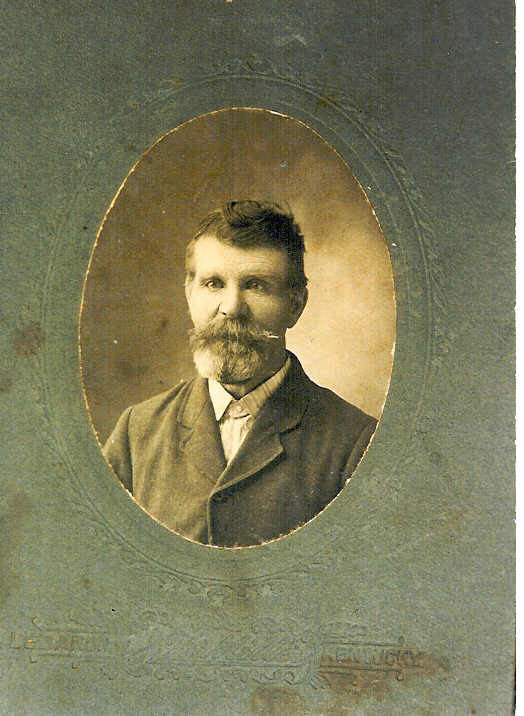 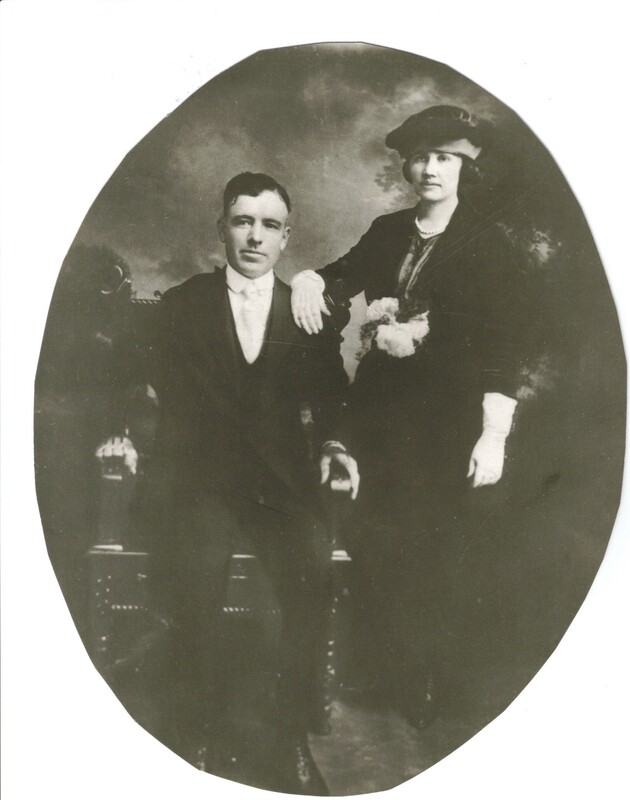 Aaron Gritton…..one of my ancestors!